What does a brand do if it loses a significant number of customers every year and has to acquire an even larger number again? It would have been a death knell for an FMCG brand but if you're into baby care segment in India, it isn't as big a worry, given that the birth rates are highest here. But that birth rate (every fifth baby in the world is being born in India) also gives birth to intense competition in this ever-growing category ensuring that the Baby Care segment is 'no child's play'. The number of babies in the country in the age group of 0-5 years is going to increase from 127 million to 135 million by 2020 and major brands such as Dabur, FirstCry, Himalaya Drug Company, Johnson and Johnson, Kimberley Clark, Nestle India Limited, Protector and Gamble among others, are vying to woo the new parents. "This is a category that recruits new consumers every year. As a marketer, you are not talking to the same mother every year, so, every time you have to get into the process of recruiting new consumers. While recruiting a new consumer, one has to make sure that you educate them in a similar way that gives out same amount of information and builds same amount of trust as in an existing consumer every single time,” said Shreevardhan K, Head of Marketing, Dabur Ayurveda. According to Kantar Worldpanel’s recently launched Baby Panel, the baby care category in India that was worth Rs 647 billion in the year 2012, grew to a whopping Rs 2,000 billion by 2016. The category is expected to grow by 17 per cent by 2019. The marketers today are facing the challenge of reaching out to the millennial parents. These new generation parents don't rely solely on advice of elders but are also influenced by social media. And also, the mother's role in choosing baby care products has also been diluted as the fathers are taking equal or even more interest in buying products for the new born. According to Anil S Nair, CEO and Managing Partner, Law & Kenneth Saatchi & Saatchi, India, today, with so many options available to them, brands can no longer preach to consumers. Credibility, says Nair, has to be the corner stone on which communication needs to be built. “People today are going to take everything today with a fistful of salt and therefore credibility becomes a question mark. People have started questioning and if a brand can’t fulfil their promises, they get putt off fast. So, from a content perspective, brands have to understand that people now are sitting with enough and more information and one can’t exaggerate their way out of this situation,” said Nair. Much of what parents considered good for their children germinated out of information that has been passed on from generation to generation but today influencers are everywhere. While doctors and elders of the family still hold a say in where parents invest their money, peers and baby care blogs are also playing a big part in decision making. “In the last decade or so, with the advent of new technology, people are more open to getting advice from their peer sets and from specialists in the field but without leaving the legacy that has been passed on,” said Shreevardhan K.
Parents are looking for value addition when it comes to products for their children. Today, toys are not just about entertainment or a tool to appease a wailing baby. Toys also play an important role in the cognitive development of a child. “Toys and baby gear category has matured immensely over the past year in terms of both brands and consumers/shoppers. In line with our core philosophy of ‘Play with Purpose’, our shoppers especially are now looking for more and more benefits of toys, eventually acknowledging the role of play in learning and development of a child. Creative and meaningful interactions with kids across all mediums gives us the great opportunity to drive our core messaging like ‘You Can Be Anything’ (for Barbie) and ‘Best Possible Start’ (for Fisher-Price) with the fun of imaginative play. There is an increased awareness now within the category shoppers to make purchase decisions based on clear benefits compared to a forced purchase driven by pester power of kids,” said Kataria. The baby care product category in India is seeing phenomenal growth in search queries. The queries originating from mobile phones double almost every year and queries from desktops grow by almost 45 per cent year on year. “As far as child care is concerned, there was already enough number of sites available to consumers. The only change is that they are now being frequented more often. 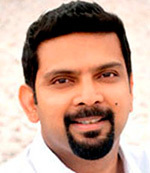 Consumers today are more active seekers of information and they are also much more open to adopting new practices and understanding old ones,” said Shreevardhan K.
While Shreevardhan K agrees that a mix media plan is what one requires to reach out to their audience, television is still the most economical option to reach out to as many households as possible. “In terms of cost to reach out to per thousand people, television is still the cheapest medium. But it is important you use a mix of various media because you have to have the surround effect. While, I agree that presence of consumers on digital is going up, you can’t ignore the consumers who are not digitally savvy. Similarly, you can’t be restricted to television and ignore the first-time mothers who are making their presence felt in the digital space," said Shreevardhan K.
One of the findings of the baby panel was also the fact that products with herbal/natural ingredients find a sizeable buyer base in metro toddler homes. With the world collectively looking at a healthier lifestyle, natural is the new mantra. “Natural, organic, non-processed are vocabularies that our brains have now been wired to accept as intrinsically good. Now, when it comes to a child, one tends to go hyper on this. So, just claiming that your product is natural is not going to cut it, one has to go super-specialisation on that aspect,” said Nair. But when it comes to natural products, a major problem according to a senior market observer is the fact that these are not recommended by the doctors. Patanjali, which is now going to focus on its range of child care products, recognises this road block and intends to build their brand up by tapping these areas. “We have started focusing on this category quite recently. This is a category where recommendations, referrals and word of mouth work the best. Doctors and delivery centres are exactly where decisions regarding child care products are made. We will soon be tapping that area. Moreover, we have advertised in the past and we will boost it soon,” said Patanjali’s spokesperson SK Tijarawala. According to Nair, ‘parents’ is a lazy term when it comes to marketing. Mothers and fathers need to be looked at as different units and therefore, it is important to speak to them differently as well. “What a woman searches for and what a man searches for when they discover that they are going to be parents is very different. The information they are seeking is not the same. Sure, they are working towards a common goal but their motivations are different. A brand that factors this in, is more likely to succeed,” said Nair. While it is true that traditionally, when it comes to child care, brands have always looked at mothers, but fathers are also becoming an important aspect of the narrative. A good example would be the ‘It Takes Two’ campaign by Pampers, which highlights the role a father plays in child-rearing. “In the past few years, fathers have become more involved in the choices and decisions when it comes to the family. Earlier, they would be just in the background or won’t even participate. The difference is now they are more informed and want to be involved not just because of any obligations. Parenting is one area where we have witnessed this overwhelmingly. Fathers are not shy anymore to pack lunches or organise the birthday party. Their involvement has gone way beyond the customary ‘eating out’ and ‘spending quality time’. Within our category of toys and games, we have this phenomenon amplified even more given the nostalgia attached with toys for all the parents,” said Kataria. According to Harish Bijoor, brand expert and Founder, Harish Bijoor Consults Inc, this trend is here to stay and with changing societal norms, men will begin to become more important to brands and marketers. “Men are finally becoming important to marketers again. As there is a more equitable shift of handling the home chore, men will progressively become more important to marketers. Also, as more and more men enter the kitchen to cook, and the bathroom to clean, expect more of this swing to happen,” said Bijoor. While baby care is a burgeoning segment, another segment that is catching the imagination of brands is Mothercare. With more and more woman stepping out of their homes to work, they are also looking at a faster recovery post-pregnancy so that they can get back to their careers. Products like Dabur Dashmularishta, Bio-Oil; retail outlets like Mom & Me, Mothercare; and brands Chicco, Philips Avent are all reaching out to new mothers with their various offerings and products. Millennials is a buzz word today and millennial parents are no exceptions. 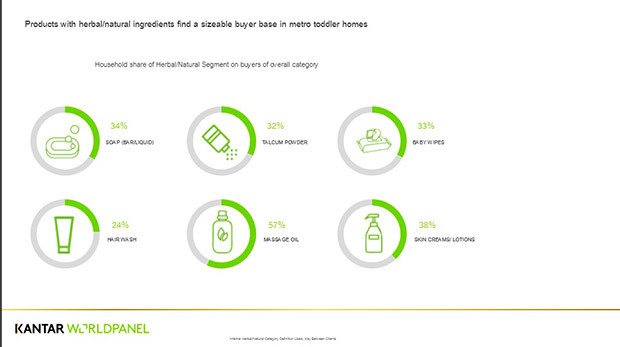 Brands everywhere are looking to tap into this segment and the baby care segment isn’t far behind either. “Millennials are the new ‘seekers’ in this new order of brand marketing world, rapidly becoming most important and fastest growing segment for almost all the consumer brands. Here at Mattel, our most trusted brand Fisher-Price has the most crucial audience of millennial parents. When it comes to baby gear and toys, Fisher-Price’s equity built over the years with parents has made it adapt faster and smoothly to this pleasant dawn of millennials,” said Kataria. But what should brands be doing to appeal to the information hungry millennials? Talk to them directly: Personalise as much as you can. Millennials are known to respond well when not addressed as a hoard. That personal touch can get you a lifelong fan rather than just a customer. Be relevant: In this new digital world, find that fine balance between traditional and new media – for meaningful engagement and not just communication. Be their friends: Be someone who is not just interested in selling the product, but someone who understands their problems and offers a solution. Your products will sell on this equity that you will earn. Be open and transparent: They are going to find out all about you and your product anyway in this connected world. Power of Nostalgia: Remember Paper Boat? Millennials tend to value their roots and background. They no more look west or look up to celebrities.